Beetles and Bentleys: Thanks to everyone who attended and to Zebra Patrol for hosting for me. Sorry that I couldn't make it. 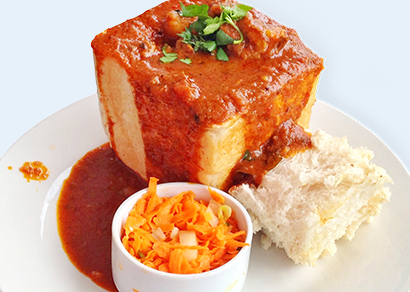 Our third installment of the ever popular monthly Bunny Chow Friday event back on a Friday for a change. It is school holiday’s so hopefully more people will be able to attend than on a normal Friday. This month we will try Cumin Cafe in Umhlanga as it has had very good revues. It's in the Umhlanga Plaza at the end of Lighthouse Road. Please can you confirm attendance as soon as possible so I can give the venue an idea of how many people to expect...it is quite small so hopefully we all fit. Please come and join us for some geochat and a tasty bunny and don’t forget to bring your trackables with you. Parking is a bit of a hassle so give yourself an extra 5 minutes to find a parking spot. Nyy sbbq naq qevax sbe lbhe bja nppbhag.